Looking for a professional Property Manager to rent your property? You’re in the right place! Real Property Management is Camp Hill’s leading provider of Rental Property Management services! At Real Property Management Australia we provide comprehensive, reliable, and trustworthy Camp Hill Property Management Services at below-market rates. When you have an investment property, you want the finest in property management to protect your investment. Whether you are a single property owner or own a portfolio of Investment properties, we’ll effectively manage properties that include single-family homes, apartments, duplexes and townhouses. Our Camp Hill Residential property management company has many years of experience in property management processes to consistently meet our customers’ expectations while saving them time and money. We utilize proprietary systems to manage the entire process to ensure the highest probability of success in all facets of managing your asset. Our full-service property management services include maintenance, accounting, legal compliance, marketing, leasing, collections/evictions, inspections, and more. Please contact us to discuss your individual needs and discover why Real Property Management Camp Hill is the leader among residential property management companies in Brisbane. Home to a diverse range of housing, Camp Hill offers everything from traditional older style houses and newer apartment blocks through to unique architecturally designed modern homes overlooking the city skyline to Mt Cootha. 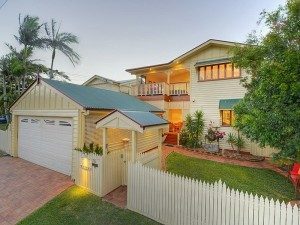 The suburb contains many fine examples of renovated Queenslanders, colonials and post-war workers’ cottages. Only eight kilometres from the Brisbane CBD, Camp Hill is elevated and overlooks the city. It is conveniently located between the Carindale shopping centre and the Coorparoo retail precinct, providing residents with a variety of shopping choices. A restaurant scene is also starting to emerge around Martha Street, which hosts some excellent suburban eateries. For those commuters opting to leave the car at home, the north-western portion of Camp Hill is located in close proximity to the Norman Park railway station while the remainder is well-serviced by regular bus services to both the city and Carindale. Once a working class area, Camp Hill has undergone considerable gentrification. 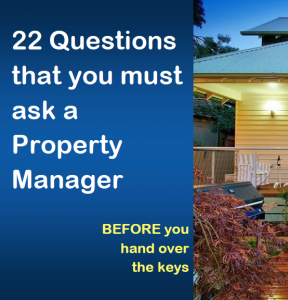 Real Property Management Australia are Camp Hill Property Management specialists.